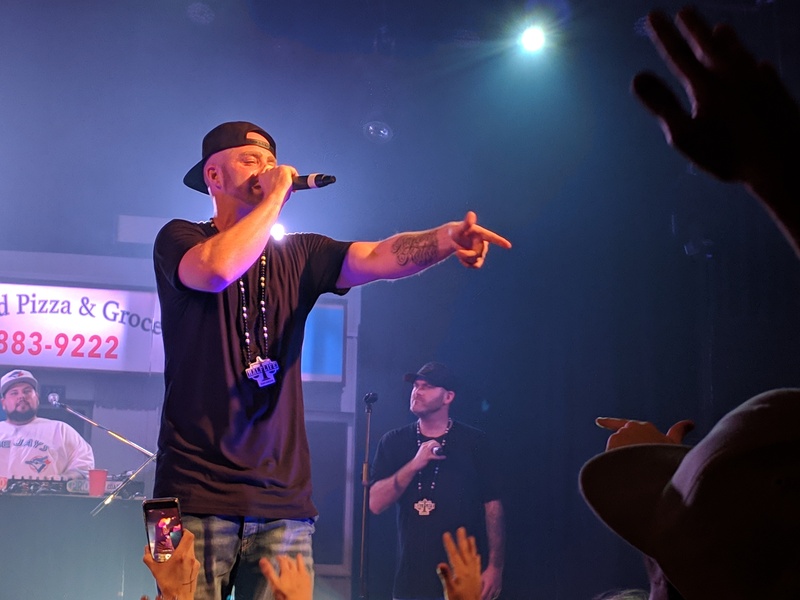 With sixteen albums released over the span of more than two decades, Classified has experienced a lengthy career similar to many emcees associated with the word classic among Hip-Hop heads. He’s gone through the grind of pushing through the underground to gain national recognition, the stardom with earning platinum plaques and awards, and has more recently shifted back to the underground as a respected veteran. Hitting the road to tour across Canada often, this tour was initially to simply promote the new album released in October, Tomorrow Could Be The Day Things Change, but Classified has since announced that this would be his last club tour across the country. 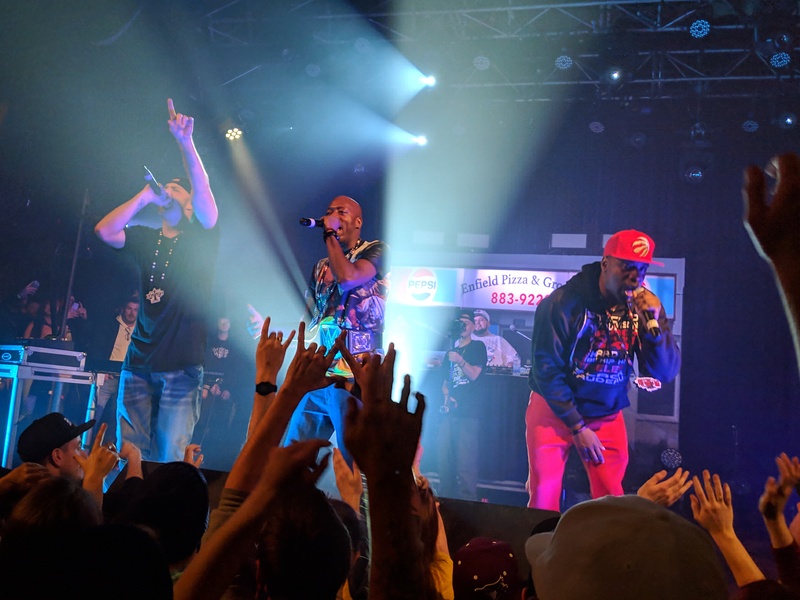 To make his final club tour extra special, he would be joined by all-time Canadian legends Maestro Fresh Wes and Choclair, and dubbed it The Canadian Classic Tour in a celebration of Hip-Hop excellence in the north. Not only would Classified be celebrating the classics with a couple of Canada’s Hip-Hop pioneers, but he would also be making room for the future classic artists by holding a contest in every city. An accomplished producer in his own right, Classified provided three beats for aspiring emcees to rap over for contest submissions, and he would pick from the submissions one local artist to open for him in each city on the tour. Emerging from the contest as the opener for the Toronto show would be an artist named Azeem Haq. For the second-last stop on the tour, Classified and the squad would be hitting The Opera House in Toronto, a classic venue that fits the name of the tour. Toronto would get an early show, with The Opera House opening its doors at 7pm on a Friday night. The venue slowly filled up as fans hit the coat check, the merch booth, and the bar as the entire Wu-Tang Vs. The Beatles mixtape played in the background. Eventually, the lights went dim, and Azeem Haq made his way to the mic stand center-stage. Up next was Choclair, who would be joined on stage by King Of The Dot emcee Bishop Brigante as his hypeman. Taking the time to speak on the historical moment of having three eras of Canadian Hip-Hop history represented on the same stage, Choclair pulled out some of his classics from the late 90’s/early 2000’s like “Rubbin'” and “Light It Up” to get the crowd moving. Bishop Brigante would get his moment to shine too, performing his song “Trust Nobody” before Choclair pulled out one of the later singles in his career, “Made (Move Mountains).” Choc rocked the hometown crowd with one last Toronto anthem, “Let’s Ride,” and would take the time to sign a ton of autographs in the front row before leaving. Being an all-time great emcee, Maestro also repped his more current music. He went acapella for a dramatic, comedic performance of his 2016 single “I Know Your Mom,” promoting the shirts at the merch booth with the song title written across. He also had a surprise in store, bringing out Juno award-winning Toronto emcee Adam Bomb to perform their 2018 collaboration, “Somewhere Down The Line.” The single looks to be a preview of Maestro’s upcoming album, Champagne Campaign, which may drop before the year is over. Each ripping through their verses, Maestro & Bomb got heads nodding with the new joint. Maestro then took it back to the 80’s classics, bringing back the RCMPs to breakdance as he performed “Let Your Backbone Slide.” Even at age 50, Maestro still has the moves. To close out his set, he went on to perform his 2012 collaboration with Classified, “Reach For The Sky (Try).” You’d think this would be a smooth transition right into Classified’s set, but Class didn’t come out to rock with Fresh Wes, yet. Instead, there would be a wait as the stage was fitted with props, including a highway exit sign to Class’ hometown of Enfield, Nova Scotia, as well as an Enfield corner store storefront displayed behind the DJ booth. After performing another new joint with the Tory Lanez-assisted “Cold Love,” Classified did some older throwbacks for his day-one fans, before pulling an MPC over to his mic stand. Putting his producer skills on display, Class would perform several songs off the new album while recreating the beats on his MPC, along with help from a keyboardist and guitarist. With the sound mixing being off, it was hard to hear the sounds Class was adding as he pressed the buttons, but the fans vibed out as he performed “Fallen,” as well as the more personal, emotional single “Changes.” The crowd erupted in applause as he closed out that latter track, with his keyboardist doing a wicked cover of Anjulie’s vocals on the hook; one fan even threw a rolled joint on stage so it landed perfectly on top of the MPC. After another emotional song with “Powerless,” Classified brightened up the mood by having some friends toss out some huge, blunt-shaped balloons into the crowd. One of those friends turned out to be the singer who has an uncredited guest appearance singing the hook on the song “10 Years,” and she picked up a guitar to perform the acoustic-heavy track with Classified. The crowd grooved to the upbeat track and Class praised the singer on just their second time performing the song together. Next, he would get into a series of covers, getting the crowd to sing along as the DJ flipped between iconic choruses by Kendrick Lamar, Lauryn Hill, 2Pac, Wu-Tang, Jay-Z, Dead Prez, and Dr. Dre. Getting back to his own material, Classified did more upbeat songs off the new album like “She Ain’t Gotta Do Much” and “Legal Marijuana.” After seeing some fans crowd-surfing throughout the night, Class took some time out to let some younger fans in the building give it a try, taking a photo with a 13-year-old on stage before letting him jump in the crowd (with parents’ permission). After some fun for the kids, next would be the ultimate Canadian Classic celebration. With Classified, Maestro Fresh Wes, and Choclair all on the bill, fans had to see it coming when they all got on stage together to perform one of the few songs they all appear on: 2007’s “Quit While You’re Ahead.” Choclair returned to the stage wearing a WWE championship belt, and Maestro got the crowd to cheer as he returned for his high-energy verse. The three Canadian legends masterfully backed up each others’ vocals as they performed their verses, and continued on with Class & Maestro’s throwback “Hard To Be Hip-Hop,” and Choclair’s verse on “Northern Touch.” We also have to point out how all three were rocking custom oak chains made by our friends at Arborcore Designs, who also designed our SYpherSights logo. Classified took the time to draw his connection to his openers, as his first ever show at The Opera House was opening for Choclair years ago. He got the crowd to cheer for the OGs, and Maestro got them to cheer right back for Classified, as the up-and-coming opener has now become the headliner. Taking back the stage for himself, Classified alternated between the biggest hit of his career, 2012’s “Inner Ninja,” and his more humble beginnings with 2006’s “All About You,” bringing some more fans on stage to sing along with him. After one more round of fans stage-diving, Classified closed out with one last song, his anthem “Oh… Canada,” with the RCMPs doing a salute on stage. If this was Classified’s last run doing club shows at venues like The Opera House, he definitely went out with a bang. Between him, Maestro Fresh Wes, Choclair, and the several surprise appearances, it was an epic celebration of some of Canada’s finest. Classified at one point got the crowd to cheer if it was their first time seeing him perform, and was humbled to see he’s still making new fans after close to 30 shows in Toronto over the years. He went through the years of material he’s put out, covering both the big pop hits and the underground classics, and took full advantage of the intimate venue with the way he interacted with the crowd. Despite the sound issues, this was still an epic performance by some of Canada’s all-time greats.